Design by Stefanie Miles, photo by Cameron Clark. 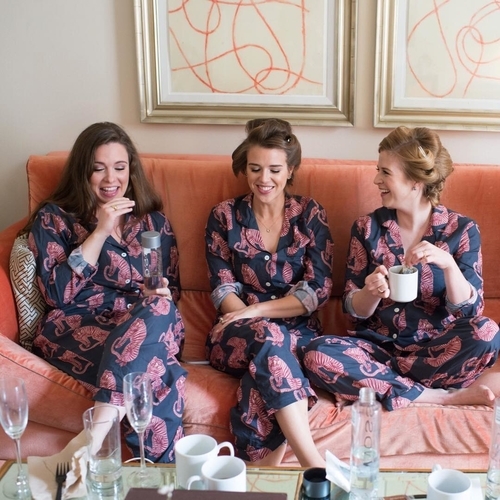 Today I’m sharing my take on the business of weddings as it stands today. This is not a wedding style trend report (though I am totally here for the abundance of organic greenery replacing over-the-top florals thanks to Meghan Markle and Prince Harry’s wedding) nor does it touch on every detailed aspect of the $298 billion global wedding industry. Instead, it is a high-level view of what I’ve seen happening with clients and other industry professionals, patterns I’ve noticed, changes in the luxury market, shifts in the economy and in generational consumer behavior and how they relate to the world of bridal, and so forth. While the #MeToo movement was officially started in 2006 by Tarana Burke, it is now at the forefront of conversations worldwide, including in the bridal industry. 81% of women and 43% of men have been sexually harassed, with 38% of women experiencing this harassment in the workplace. In the wedding industry, the number of women sexually harassed at work is 67%. This includes harassment by colleagues, wedding clients, and wedding guests. The occurrence of harassment within the industry has been whispered about for decades, but this past year, thanks to the Me Too movement, more wedding professionals have been speaking up about it publicly. More pressure has been put on wedding business conference producers to keep predatory people off their speaker and sponsor lists. On the legal side of dealing with clients, more vendors are now including harassment clauses in their contracts to protect themselves and their staff. These changes are long overdue. In 2017, 85% of global luxury growth was driven by millennials and Gen Z. Eighty-five-percent. Luxury represents something different to Gen Zers (born 2001 and after) than it does to their older cohorts, including millennials. While millennials (the oldest of whom turn 40 this year) value the heritage and artisanal aspects luxury provides and Gen X values the status of individual achievement that allow them to afford luxury goods, Gen Z values the access to an inclusive community that exclusive luxury can provide. Exclusive goods and services providing inclusivity can seem like an oxymoron, but it’s not. In a sense this isn’t much different than what country club memberships offer — access to an inclusive yet exclusive group of people. Yet, while older generations place most of the weight on the price tag of exclusive-yet-inclusive luxury, Gen Z places more weight on the scarcity of that luxury. For an example of this, look towards the brand Supreme. While they are considered a luxury brand, their lower priced ($50 or less) items sell out just as quickly. Once they’re sold out, they don’t make more. If you have a product with the Supreme logo, you are included in the group, no matter the price tag of your specific item. Click here to view video if you are reading this post via email or RSS feed. As more Gen Zers begin to get married, you will notice that they won’t respond to your marketing that you just revamped to target millennials. They won’t focus on whether or not they could see you as a friend, like millennials do – Gen Z wants to know whether or not your clients are people they could potentially be friends with. They not only look to what you bring to the table in terms of expertise and personality, they look at the entire community you are building through your company culture. And if you are in the luxury space, they want you because you are hard to get, not solely because you are expensive. They want to be a part of the exclusive-yet-inclusive authentic community you have cultivated. The oldest of the Gen Zers are also the kids of the “mommy blogger” and “Instagram mom” generation. As a result of their personal lives being splashed across the Internet for clicks, likes, and sponsorships, often without their knowledge and/or consent, Gen Zers value their privacy more than the older generations do. They are more guarded, even if it doesn’t appear that way. They do not want to be in your Stories, and it has nothing to do with being angsty teens. Even the Gen Zers angling for their own Instagram stardom (where sponsorships are the new status symbol), take a very heavily curated approach, making sure that what they present is not everything, and keeping the real stuff for private friend Instagram groups, “finstagram” accounts, and Twitter group DMs (just as Gen X prefers Facebook, Gen Z increasingly prefers Twitter, considering Facebook to be “for the olds”). Because of this value for privacy, Gen Zers will not want their weddings published or posted across social media the same way millennials and Gen Xers do. This will be a point of wedding planning tension between Gen Z couples and their Gen X/millennial parents. Just as you needed two separate marketing strategies to target both millennial and Gen X clients, you will need two separate marketing strategies to target both Gen Z and millennial clients. Around the world, wedding business conferences struggled to sell tickets, with many offering behind-the-scenes comped registrations to fill seats, allowing them to avoid the appearance of disinterest or irrelevancy and increasing social media updates as trade for attendance. While conference producers have always employed this strategic move, it happened more this past year than in the past decade. First, there is more saturation in the wedding education category. More people are launching workshops and conferences – some qualified, some not. Conferences are also competing more with alternate educational opportunities like online courses and mastermind groups (ranging from $300-$25,000+ a year). Second, as the general economy is booming for some, but not so much for the majority, the overall wedding industry has been in uncertain waters, with qualified leads slowing and couples moving towards longer engagements again. As budgets and revenues tighten, wedding vendors are looking more closely at how and where they want to spend their education budget. Many are choosing to focus on one main conference annually instead of attending multiple. There has also been a wider focus on strategic relationship networking rather than meeting as many people as possible in the hopes that something pans out. 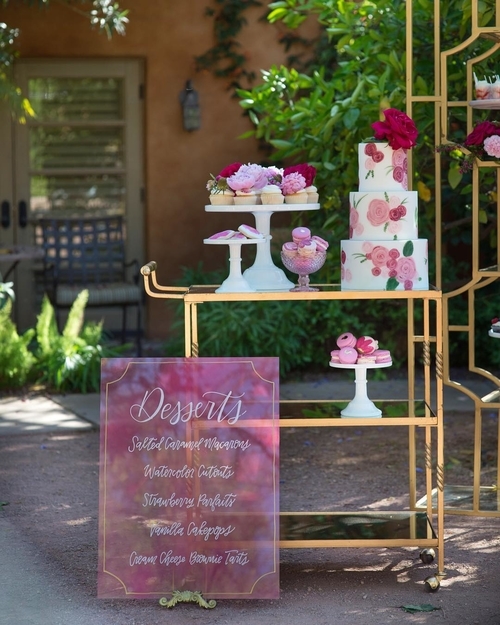 Wedding pros want a community they can count on and continue to nurture once they return home. They want like-minded people who they can relate to with their challenges and call on when they need a sounding board or extra set of experienced hands. Third, wedding pros are tired of the “same old, same old” when it comes to educational events. Same speakers, same attendee cliques, same curriculum, same insights from books they’ve already read. Instead, they are increasingly asking for conferences with a tightly curated list of true experts rather than a laundry list of speakers. They want a focus on bread and butter sessions, meaningful inspiration, and less of the “look at me” presentations. If they are going to make a several-thousand dollar financial investment and spend time away from their families, they expect to be primarily educated, not primarily entertained. Wedding pros attending conferences and workshops are craving real ROI over ego ROI more than ever. I hesitate to call diversity a “hot topic” because it has always been a hot topic. Maybe the difference now is that more people are forced to pay attention because more people now have the power and options to spend their advertising and education dollars elsewhere. In conferences and workshops, there has been a demand not just for more diversity on the speaker lineups, but for more conversations on the related issues from the main stage. People are seeking authenticity in these conversations. They want to hear speakers discuss how issues of race impact weddings and learn how to handle unique planning challenges that crop up. For example: how to choose destinations that are more inclusive and welcoming to specific race and cultural backgrounds. No one wants to hire a planner who doesn’t know that a certain town in a popular destination has a reputation for racism or bigotry against their client’s heritage or worldview and no one wants their 200 guests to deal with that while attending their wedding. These are the types of real-world problems modern wedding pros are expected to be experts in yet very few conference producers are comfortable tackling them. Wedding professionals are also looking for non-Western based cultural diversity in the educational content offered. A few years ago, I was the keynote speaker at a conference that had a main stage panel on how to best market to and work with clients having arranged marriages. Topics like these have been one reason people working in destination weddings are increasingly seeking out business conferences produced outside of North America and Europe. The wedding industry is global, talent is literally everywhere, and more people are stepping up to fill the needs that Western-focused business conferences haven’t been meeting. So much has happened in the world of wedding media over the last year, most notably WeddingWire’s acquisition of XO Group – parent company of The Knot – for $933 million. In other industry-wide news, Oath announced it would be closing Style Me Pretty, which was then reacquired and relaunched by Abby and Tait Larson, the site’s original founders. Southern Weddings magazine announced it would be closing and Martha Stewart Weddings announced it was turning its focus to digital and only producing one special print edition annually. While wedding media is not the gatekeeper it once was, the third-party credibility it can lend still matters (even if it doesn’t actually help your SEO). Getting published may not send as many direct leads as it used to, but it does help tip the scale in your favor when being compared to other equally talented wedding pros who may not have as many press features. As Facebook continues to reel from its myriad scandals (everything from their mishandling of the Russian government’s interference in the 2016 US election to lying about and inflating video metrics to giving 150 companies including Netflix access to your private messages to executives green-lighting anti-Semitic PR messaging against people who spoke out against the company), it is increasingly turning to Instagram to make up for lost revenue (it finished 2018 with a 25% drop in stock price for the year). If you feel like you’ve been seeing ads every fourth or fifth photo, in both your Instagram feed and in Stories, it’s because you have. If you feel like your reach and engagement has dropped, it’s because it has. Remember when Facebook changed their business page algorithms so that you’d have to pay to promote your posts to get seen by the same number of people you used to reach organically? They are applying that same strategy to Instagram. And just when you’ve signed up for the latest online course on beating the algorithm, they will change it again. Instagram Fatigue is growing. People are tired of perfection, of perfectly curated imperfection (what I call “fauxthenticity”), of everything and everyone’s work looking the same same same. But Instagram still drives leads (though that number is dropping), so wedding pros continue to use it, becoming increasingly jaded, turning elsewhere for creative inspiration, and taking “detoxes” when they feel they need (and can afford) to. My advice? Make the most out of Instagram, Stories, Facebook, and other social media platforms and features while they are still valuable, but don’t put all your eggs in their respective baskets. Social media is the house you rent. Your website, blog, and newsletter are the house you own. Make the house you rent work for you, but make your primary focus building equity in the house you own. Wedding at Amangiri. Photo by Cameron Clark. Destination weddings continue to hold at about 25% of the global wedding market, with the number occurring outside the US continuing to increase, and the number occurring inside the US continuing to drop. This shift occurred largely because of the Trump administration’s travel ban, leaving couples nervous about dealing with (or making their guests deal with) the uncertainty of US customs, and opting to get married elsewhere instead. Remember, millennials value making sure their guests feel comfortable and have a great experience overall. Choosing to avoid the United States as a wedding destination is easier than dealing with the anxiety of whether or not friends and family might get hassled as they get off a plane. This shift is obviously good news for the markets that have seen a bump in destination wedding business over the past two years, namely Mexico, Italy, Spain, Turkey, and Japan. Several countries have begun to (or continue to) crack down on outside destination wedding professionals without work visas, most notably in Costa Rica, the Dominican Republic, Columbia, Thailand, Indonesia (with an emphasis on wedding pros headed to Bali), Japan, and India. Even with travel logistics becoming more of a consideration for couples, we will continue to see the concept of GLOCAL weddings grow, especially after Priyanka Chopra and Nick Jonas’s wedding. While the main wedding took place in Priyanka’s home country of India (where she is easily the more famous of the two) and they opted to work with Mumbai-based planner Aditya Motwane, they also brought in wedding vendors from other parts of the globe, such as photographer Jose Villa and wedding filmmaker Caleb Jordan Lee. Because the world is more connected than ever, and couples can find the best talents anywhere thanks to social media, they are increasingly opting to combine global and local (GLOCAL) vendors for their weddings, whether local refers to the place they call home or local to their destination. It is becoming more rare to plan a wedding comprised of 100% local wedding pros. Image by Cameron Clark Photography. Wedding tech is still the fastest growing segment of the wedding industry (it has been for the past five years), but not without its pitfalls. As some wedding tech companies that burst on the scene several years ago – armed with millions in VC funding – ended up laying off staff and quietly closing their doors over the past 18 months, investors are starting to take a closer look at the realities of the industry. They are doing more due diligence than they’ve done in the past, rather than taking hopeful industry disruptors at their word. The two biggest hindrances to success in the wedding tech space continue to be a lack of awareness, education, and respect for the history of the industry and the people and ideas that paved the way, and a lack of understanding of the true consumer behavior of brides and grooms. While anecdotal experiences can be useful as the spark for a business idea, the success and longevity of the business idea require that founders dive deeper. Design by Imoni Events at the Royal Palms. Photo by Cameron Clark. Tariff is simply a fancy word for a tax on imports or exports and if you are a creative artist in any capacity, your business will be affected by the 10% tariff the Trump administration imposed on billions of dollars worth of Chinese imports this past September (the rate was supposed to rise to 25% on January 1st, but the two countries have agreed to hold off on the increase until March 2019). Tariffs are affecting the import costs of pretty much every product that goes into making a wedding happen. Even if the end product is assembled in the United States, many of the source materials come from China. For example, chiavari chairs now cost 10% more for furniture rental companies to import, and may cost 25% more come March. These costs ultimately get passed to the bride and groom, which means that either their design budget won’t stretch as far, or they’ll choose to splurge in this area and cut back on other vendor categories (photography, invitations, music, etc). Here are just a few of the wedding-related materials and products that will be impacted by these new tariffs: letterpress machines, engraving plates, stamping foils, stationery (glassine, embossed paper, photo paper, etc), inks, dyes, paints, pigments, cameras and camera parts, film, power generators used for tented weddings and outdoor events, compressors, hydraulic lifts, and other tools used in event production and installation, hair products, gifting products and materials, vinyl, wall and ceiling coverings, dance floor materials, wedding apparel and fabrics, upholstery, leather, and floral containers. You can download the full list of import products impacted by these tariffs here. Across the pond from the US, Brexit is likely to affect floral imports, driving costs up, which in turn will force couples who value flowers the most to cut back in other supplier and vendor categories. Again, this means that the price of wedding flowers could very well affect you as a caterer, photographer, or invitation designer. Some feel that Brexit’s impact has already begun, even though it has not yet officially been implemented and still faces a fight. Many British wedding suppliers have seen their costs go up, in turn pricing them out of the budgets of their target brides and grooms. Even if you hate politics or don’t consider yourself a political person, the policies and laws that get implemented affect your business in a very real way, no matter what side of the aisle you fall on. If you never pay attention to the news, consider checking in at least once a week, so you can keep your thumb on what may impact you, even indirectly, in the future. Pay attention to your supply chain and the supply chain of the products you use and depend on. This will help you better plan and prevent you from getting caught off guard. If you are feeling the pinch from economic and political uncertainty over the past two years, you’re in good company. Many wedding pros are feeling the same way and you are definitely not alone. The good news is that people will still get married, and in that sense, the industry is recession-proof. Couples may have longer engagements to save more or to keep an eye on their stock market and other investments, they may place a heavier priority on where they spend their wedding budgets, but they will still tie the knot. The challenge for you as a wedding professional will be to market and sell your true value more clearly than ever. To show why your particular brand and talents are vital to their day. You want to be the area they choose to splurge in, if they are forced to cut back in others. Being the favored go-to of a planner or venue will not be enough. Being the most-published vendor will not be enough. Being the “celebrity wedding artist” everyone recognizes will not be enough. Get super clear on what your brand is about and adjust your messaging accordingly. Diversify your marketing and play the long-game by building equity in the brand house you own. Don’t buy into your own hype and don’t assume your popularity will last forever, especially if you’re one of the current industry it-girls (or it-guys). Pay attention to what’s happening in the world so that you can adjust your business plan as needed. Working “smarter not harder” is not a thing. You need both. 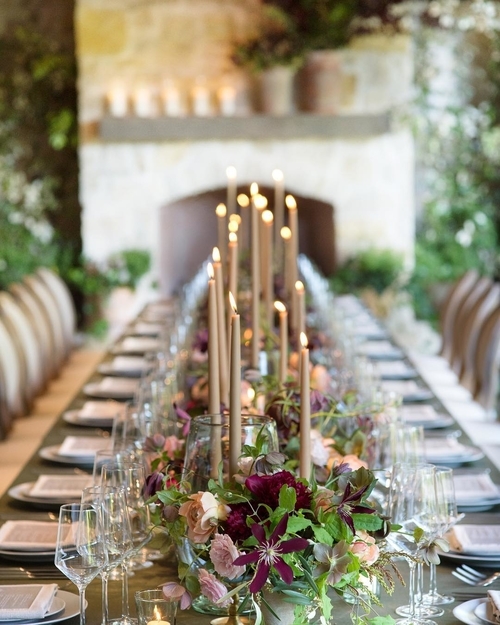 The wedding industry is a dream job, and we need what you bring the table. 1. You’re sending your pricing right away. Sticker shock is real, and if you’re one of the wedding pros they’re considering at the beginning of their planning process (namely planners, venues, or photographers), it is likely that the budget they have in their mind is not based in reality whatsoever. People hear that the average wedding in the US is around $30k, they watch the “reality” wedding TV shows that display costs on the bottom of the screen without noting which items or services were comped or discounted by the vendors in exchange for publicity, they find creative inspiration on wedding blogs and magazines and don’t know that they will have to pay triple to make that design happen because they are getting married in a union town, and when they ask their friend what they spent on a given item, the friend feels uncomfortable sharing real numbers, so they tell a little white lie to seem smart and like they got a deal. Your potential clients likely don’t know what real weddings cost because they have never gotten married before. Your primary role at this point in the process is to educate them in a way that shows your value. Also, if you are sending prices right away, you’re not educating yourself on what their wedding will actually require from you. On top of that, you’re branding yourself as cookie cutter because you’re essentially saying “we only do these types of weddings, so we know how much to charge without talking to you.” Lose-lose. If you’re still sending pricing right away, make 2019 the year you break this bad business habit. 2. You’re sending too much info too soon. I’ve spent years doing research on how couples and their families truly approach their wedding spending and as a result developed WedType, a scientifically-based wedding buyer behavior model. Of the four types of wedding consumers (Seekers, Drivers, Researchers, and Lovers), Researchers are the ones who will read everything. For them, when it comes to information, more is better. For the other three types, more is too much. While you won’t know right off the bat which WedType you’re dealing with, if you’re sending every possible piece of information, if you’re counting on people to read through all of your website and move on the exact right path through your marketing funnel, if you’re asking them to take a quiz or fill out a multi-page questionnaire before you even talk to them, you will overwhelm the majority of your potential clients. When people feel overwhelmed, they subconsciously associate that feeling with you and your brand. This means that they may love your work but, for some reason they can’t quite put their finger on, feel like you would be burdensome/tiring/a drag to work with. 3. You’re being a little TOO efficient. No one likes to feel like a number. No one likes to feel like a checkmark on your to-do list. And no one wants to feel like their wedding is one of 2.2 million a year and therefore not all that unique. Automated replies have their place, but you probably don’t need to use them. Here’s some tough love: automated and canned replies may help you feel more organized and efficient behind the scenes, but they make you look cold and uncaring. I’m willing to bet that when you wrote out your core values and mission statement for your business and marketing plans, “cold” and “uncaring” were not traits you included as wanting to be known as. If you’re in the luxury space, this is especially true. High end means high touch. You get to charge more because you have to hold their hand through more of the process. People almost always hire the person who makes them feel the best from the very beginning of the process. Be the person who’s willing to sacrifice a little bit of efficiency in order to make people feel truly valued, heard, and connected. 4. You’re not scheduling a followup BEFORE you send the proposal. If you want to close the sale faster, or get to a firm “yes” or “no” answer more quickly, schedule a 10 minute call for a couple days after you send the proposal to discuss it and answer any questions they may have. Monday AM: You receive an inquiry via your website. Yay! You reply right away that you’d love to chat for 10 minutes to learn more about them and their wedding. Wednesday: Send the proposal with a reminder to bounce it off their friends and family. Friday: On your 10 minute call answer any questions they may have. Sell your value as you go through it. The idea that if people want you they will find a way to pay for it is true to a point. Money doesn’t grow on trees and you may just be flat out of their budget even if they decide to scale back in other areas. If this is the case, tell them that you understand (because you do, because you also do not have an unlimited bank account), and that you’d love to refer them to some wedding pros who may be more in line with their budget. While you may not get the sale, you’re raising the bar for the industry by referring them to talented people rather than charlatans who are only good at Instagram. You’ll want to tell them 10 minutes for these first phone calls because it is too early in the process for them to feel comfortable committing to a longer period of time. Typically once they’re on the phone, they’ll want to speak longer, but showing them up front that you are respectful of their time and schedule is important. A quick note on telling them to bounce it off their family and friends: millennials and Gen Z grew up making decisions in groups thanks to a change in the educational system in the 1980’s. Giving them space to solicit feedback from people they trust allows them to feel more comfortable with you and not pressured to make a decision they may end up regretting. Their putting a priority on their college roommate’s opinion may feel like a slap in the face to you, the actual expert, but building trust with your potential client is the most important factor here. 5. No one likes being the bearer of bad news. Everyone is human and no one wants the icky feeling that comes with letting someone else down. Even if you have an “it’s just business” mindset, your potential clients may still feel terrible telling you they’re going with someone else. Add to this the fact that they may have interviewed a dozen other wedding professionals in your category and it’s easy to understand how telling a dozen people “no” could put a huge damper on their day. One way to combat this is to tell them that if you’re not the right fit, you’re happy to recommend someone else who may be better suited for them. This shows that you genuinely care about them having the best wedding, even if they don’t end up booking you. Generosity wins. Ghosting is not a new phenomenon. All ages do it, and blaming it just on millennials or Gen Z is lazy thinking and a way to avoid doing the work of examining where you could be running your business better. In June, Meredith Corporation announced they would be ending the quarterly print editions of Martha Stewart Weddings magazine (releasing one annual print edition) and focusing primarily on digital. In June, it was also announced that Southern Weddings magazine would be closing. In August, the Wall Street Journal reported that Condé Nast is planning to sell three magazines, including BRIDES, the first wedding magazine ever published in the United States. Ironically, Meredith Corp (which announced this week it had sold TIME magazine to Salesforce founder Mark Benioff and his wife, Lynne, for $190 million) is the most likely buyer. Meanwhile, traditional lifestyle magazines like Harper’s Bazaar, Town and Country, and Vogue have continued to ramp up their bridal features and increasingly compete with bridal magazines for exclusivity in publishing wedding features. From a business standpoint, this last part is a smart move on the part of the lifestyle magazines. Weddings are feel-good content focused on celebrating values almost everyone can get behind: love, hope, commitment, joy, family, and community. Who doesn’t want to feel good, especially when the world right now so often doesn’t? Unless you’re getting married or are helping a friend who is, you’re probably not going to purchase a bridal magazine off the rack just to boost your mood. Your brain, however, is going to subconsciously associate Vogue with making you a little bit happier when you flipped through it last month, so that’s likely the mag you’ll pick up again. Mainstream magazines now including weddings in their issues is business strategy, plain and simple. Purchasing a wedding magazine is an unspoken rite of passage for many women, an act that – much like trying on a wedding dress for the first time – gives that “oh wow, this is really happening!” feeling and one that is deeply engrained in the wedding culture of most Western societies. I’m not going to comment on what led each of the companies to land at the decisions they did, as each company has different goals, financial targets, marketing and sales practices, as well as upper management teams who may or may not be involved in the industry (nor have any understanding of it) making choices on their behalf. I am going to clear up some confusion as to the question of whether or not today’s couples buy print wedding magazines: THEY DO. According to our research with Splendid Insights, 79% of brides or grooms who got married last year purchased a print version of a wedding magazine and 1 in 4 (25%) purchased it before they were even engaged! Nearly half (46%) used the bridal magazines on a daily or weekly basis while they were planning their wedding. Not only do today’s engaged couples buy bridal magazines, they use them to hire their wedding professionals. If you read the 2018 Global Wedding Market Report, it shows that only 13% of couples hired at least one of their wedding vendors or suppliers from a magazine feature or advertisement. This is because this is the general report and includes all budget segments and people having an intimate wedding and spending less than $1000 total (think elopements or just a few guests) are included in that number. If you take a look at the wedding market reports for the budget segments of your target clients, you will see a more accurate picture of what the couples you are specifically marketing to are actually doing when it comes to their weddings. For example, in the luxury wedding segment (budgets of $96,000-$500,000), 30% of couples hired one or more of their wedding pros after finding them through a wedding magazine feature or advertisement. 64% were flipping through a wedding magazine at least once a week while they were planning. In the ultra-luxury wedding segment (budgets of $500,000+), that number is even higher: 1 in 3 couples (33%) hired at least one of their vendors because of a magazine feature or ad. It should also be noted that several local wedding magazines and bridal magazines catering to niche or often overlooked segments of the market, such as Munaluchi Bride (focusing on multi-cultural weddings), are doing well. Considering the other closures an indictment of print in general is a mistake. The people declaring print to be dead haven’t done their homework. Engaged couples are still buying bridal magazines, and they are using the inspirational and practical information they find in the pages to help them plan their weddings. Create your marketing plans based more on data that shows what is really happening than on anecdotes or Chicken Little-esque “the sky is falling!” proclamations. Most importantly, don’t allow fear to overtake your business decisions.